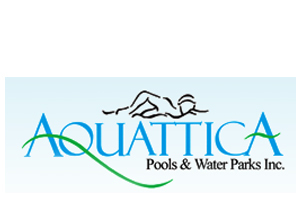 Aquattica Pools & Water Parks, Inc. was founded by three specialists: a seasoned swimming coach who understood the space requirements and relationships of the pool and natatorium necessary to accommodate the required programming, an experienced national pool equipment regional representative who was completely familiar with pool equipment operations, manufacturers, and construction techniques, and a mechanical/structural engineer with many years of experience engineering the structural and operational requirements of a swimming pool and pool environment. Each of these specialists had experienced, from their own vantage point, what was wrong in the industry and had a common vision of how to make it better. The founders provide a unique resource that will ensure the quality of the environment, operations and cost-efficiency of your commercial, institutional or municipal aquatics facility. Visit their website at: www.aquattica.com.